Was your baggage mishandled? Were you denied a refund that you should have received? Flight delays? 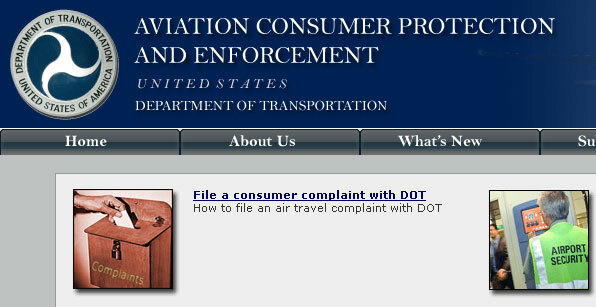 We are not sure if anyone is listening to your worries or complaints, but the US Department of Transportation (DOT) has launched a new website to help consumers compare and complain about airline service. The website, allows travelers to file complaints to the DOT, compare historical on-time and baggage mishandling records of airlines and get helpful tips about air travel. The site also contains a compendium of information on government rules and guidance on subjects such as baggage, fare advertising, refunds, overbooking, disability and flight delays. The website, which is aimed at US citizens but contains some information about international carriers operating in the US, is also available in Spanish.